Don't be distracted while in the kitchen! 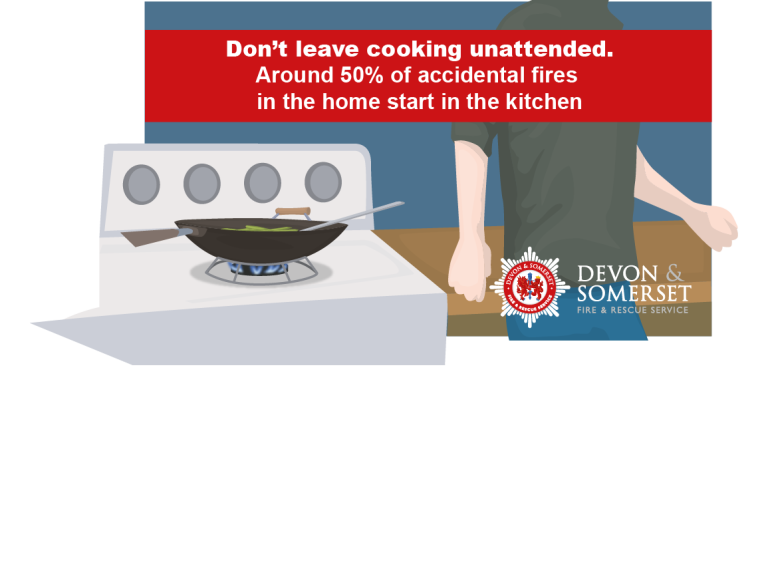 Did you know that over 50% of accidental dwelling fires start in the kitchen? This means that you are six times more likely to have an incident in your kitchen than in any other room in the house. 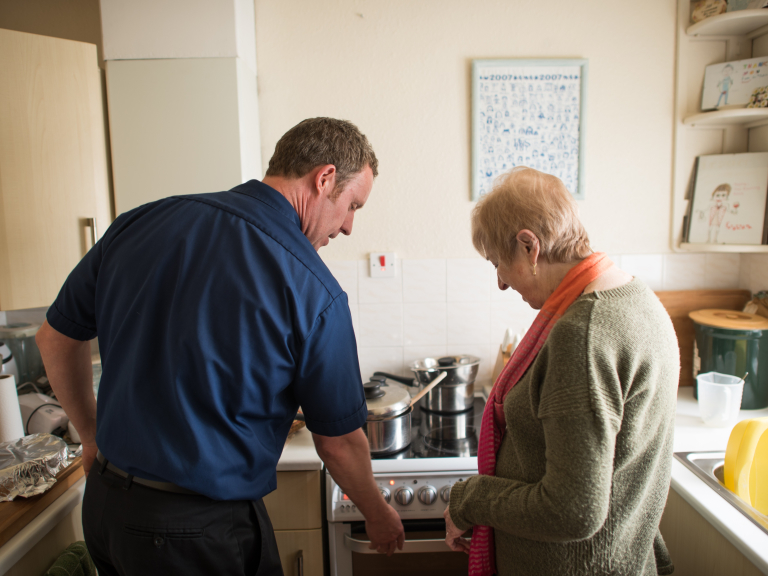 In Devon and Somerset over the last five years (2012 – 2017) within the home, 314 incidents that caused an injury resulted in a total of 387 injuries, 175 of these happened in the kitchen. This means a third of all accidental incidents within the kitchen are caused by distraction or falling asleep. We all know that when cooking it’s easy to be distracted, but our stats indicate show that you are most likely to get distracted between 17:00 – 19:00. This is exactly the time when the evening meal is being prepared and becoming distracted can happen easily. The risk is heightened if you cook using a chip pan or deep fat fryer. People over pensionable age and on their own are also more likely to become distracted during the process of cooking, resulting in injuries. One of the main focuses is white goods which include cookers, dishwashers, tumble dryers, washing machines and fridges. Making small changes in your daily routine can reduce the risk of a fire starting in your home. This involves not leaving appliances running while the house is unoccupied or when everyone is asleep. Be careful not to overload sockets as plugging too many electrical appliances into one socket can lead to overheating. Have a look at the Socket Calculator.